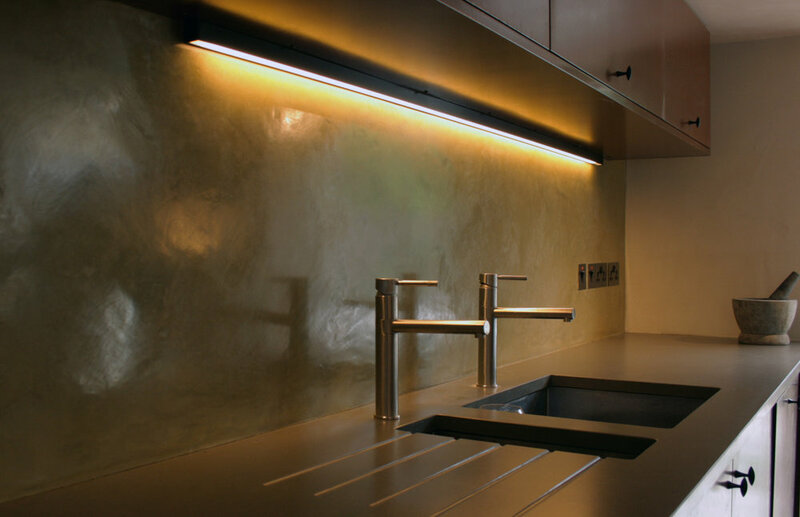 We offer plaster finishes for interior and exterior applications, using plasters from Italy, Germany, Morocco and the U.K.
Plaster finishes include venetian, marmorino, micro cement and tadelakt. 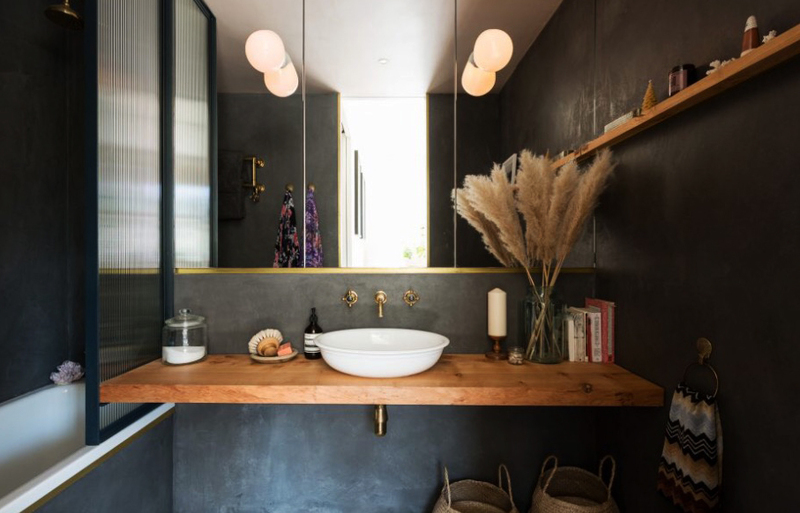 For bathrooms and wet rooms, this is a naturally waterproof lime based plaster, which offers a timeless and seamless colour finish. 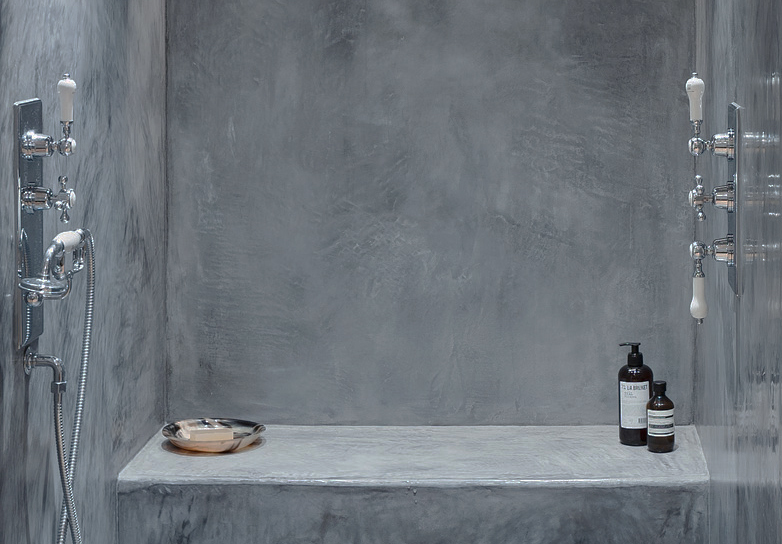 Using pigment to colour the plaster and with a choice of finishing options, we can create a flat, semi matt surface or, like below, a more pummelled and hand crafted finish, with a high wax gloss. 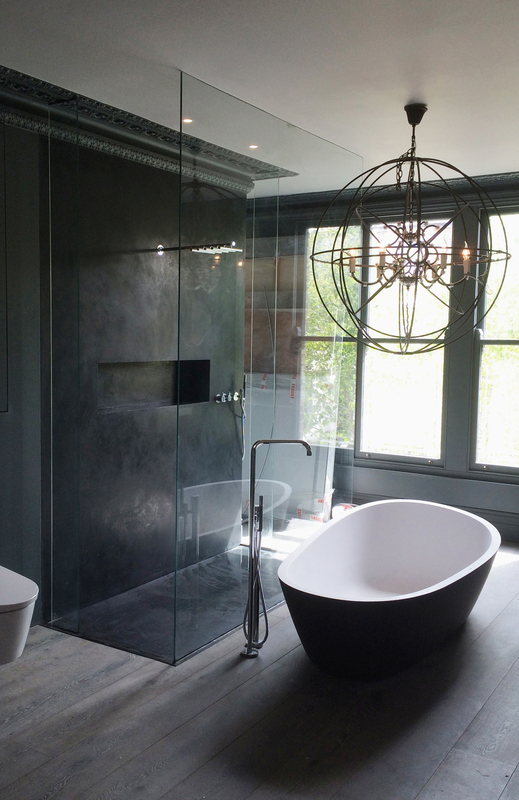 For a simple and seamless finish, the natural white colour of plaster and wax, gives a timeless aesthetic. For the new Angela Hartnett restaurant, we were commissioned to apply our lime plaster, tinted with French Ochre. A nominee for best restaurant interior by Elle Decoration, the plaster gave a warm depth to the space, tinted to 'age' the walls, chosen to compliment the eclectic mix of old and new design, within the restaurant.